Everyone should have the chance to sit on a throne at some point, right? This one sits at Katlin's family farm. Fun and very unique—just like her. "I like being unique because I am different and walking to my own pace." 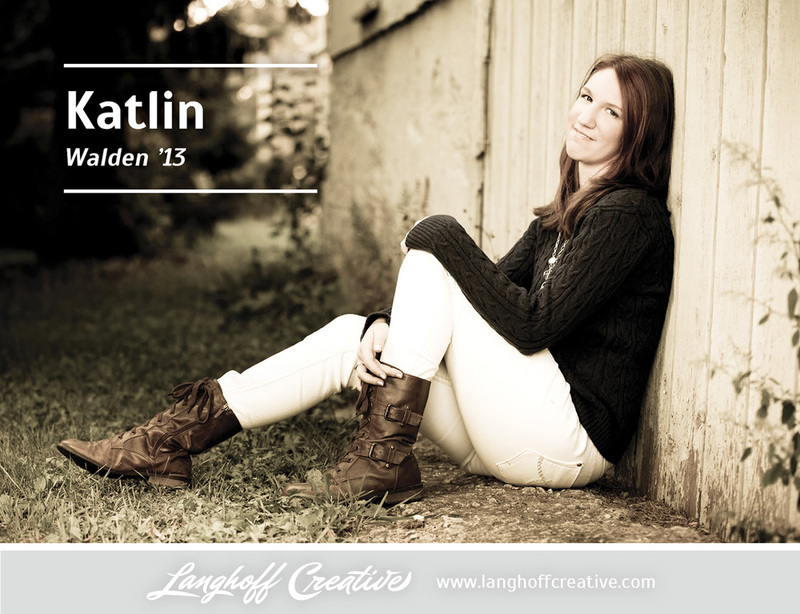 Katlin's senior year is finishing up. She says, "There are so many memories of school, I don't even have a favorite. I love them all!" "My advice to the underclassmen is, 'Don't wait until the last minute. It kills.'" Uh-oh....sounds like you've got experience with a bit of procrastination, huh Katlin? I have to admit, I can relate! The whole time we had this shoot, Katlin laughed, smiled, and filled me in on life. 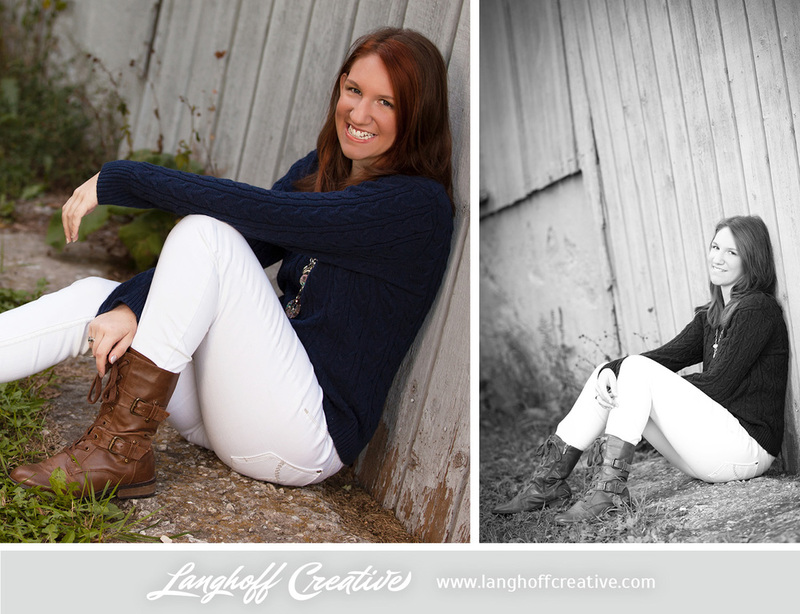 We became great friends during this session—I even learned that her favorite food was mashed potatoes! The greatest advice Katlin ever received has really stuck with her and shaped who she has become. "If you never learn how to do this now, you never will want to and never will." She says it has gotten her through so much in her life. 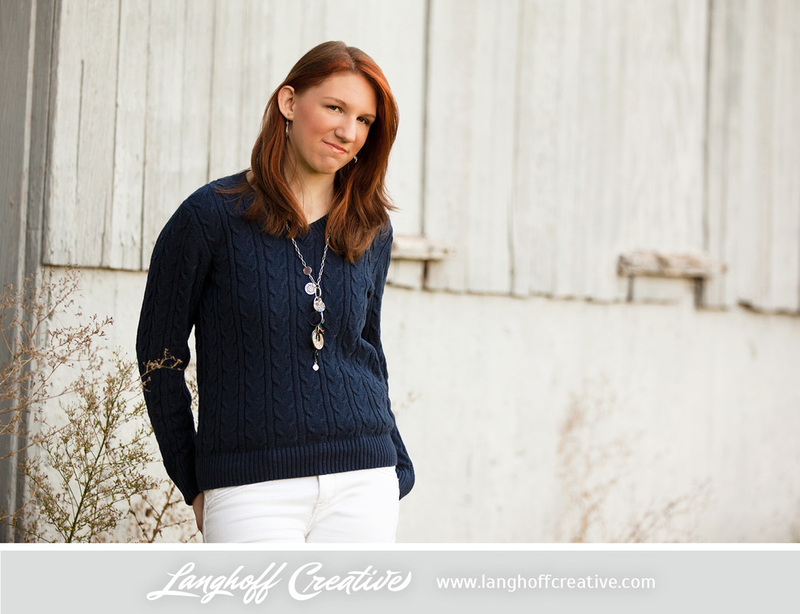 Two things I learned quickly about Katlin: she's gorgeous and she's eclectic. She likes most all movies and she calls herself a music junkie. You'll find her playlists filled with all types of music, except for rap. Katlin is also an avid reader and writer. She's been told her stories are really good. In a few years, check the shelves—her goal is to write a novel! Being a novelist would be amazing, but there is something else that gets her going. "What I really want to become is a racer. I love the adrenaline rush I get when I go fast in my car and I want to race motorbikes. I love being a punk and doing dangerous things!" She's lived in Racine all her life, but after graduation, she is looking forward to moving to Chicago to Argosy University and majoring in Psychology. Katlin—thanks for the opportunity to become friends! I was so inspired by your love for your family, your bubbly personality, easy-going attitude and killer smile. No doubt, Chicago has no idea what is coming its way....can't wait to hear all about your future success stories! Best of luck with the rest of your senior year, girl.